We have been supplying printed promotional-goods, workwear and branded clothing throughout the UK and locally in and around Bristol & Bath since early 2007. From Workwear, Schoolwear, Sportswear and Promotional Goods we have most Branding Requirements covered whilst helping all our customers maximise their varying budgets through the range of services on offer that help add a little something special to that all-important communications mix. At our core is a foundation of a truly professional, personal and quality service to ensure that your Corporate Branding requirements are fulfilled with 100% satisfaction. Our continued passion for customer service ensures that every project is professionally managed with your full involvement at every key stage. Let Harvem help you add that feel good factor to any branded product whilst ensuring you get the right message to your target audience on time and at an affordable price. Above all we will help you communicate with your customers in an effective and positive way. 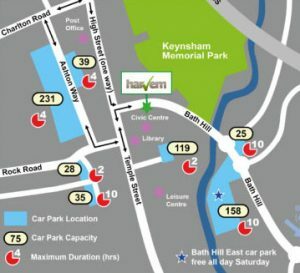 We are located in the historic market town of Keynsham, between the two vibrant cities of Bristol and Bath, you are more than welcome to visit us. We have been using Harvem now for 6 or 7 years. We use them for all our clothing, plus all our many different promotional materials from personalised trolley keyrings, Pens, Mugs and plastic water bottles to name but a few. We have always been completely satisfied with the service received, the help in sourcing ideas and visuals and the speedy turn around on all orders. Harvem are not only very friendly and easy to deal with but very competitive on price. We have 7 different manufacturer brands operating from 11 different sites within our Motor Group and Harvem completely understand the quirks with each brands corporate identity making ordering and delivery to the various sites very easy. We have enjoyed working with Harvem and look forward to our continued working relationship.